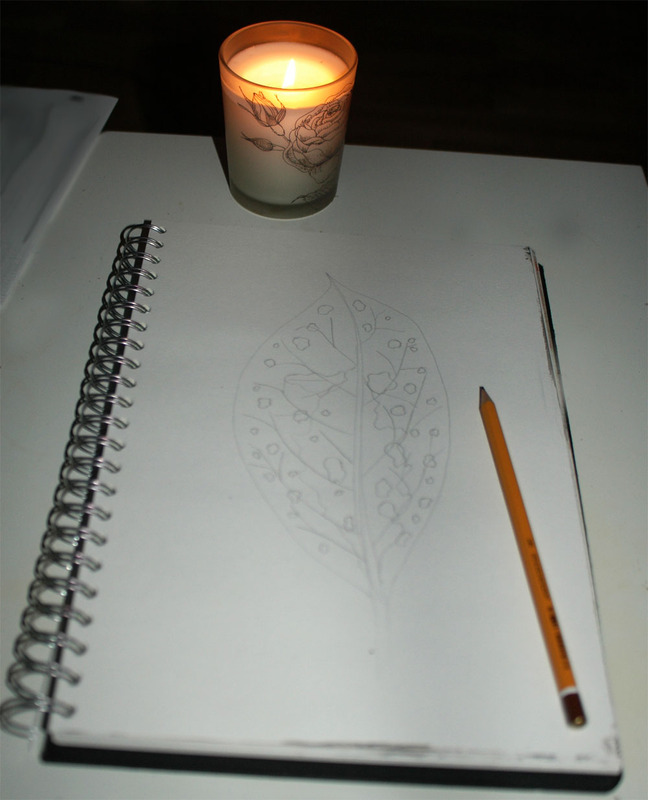 I observed Earth Hour on sunday, switched off all the lights in my house and drew a Pulmonaria leaf by candle light. I think I’ve always been an environmentalist, as a child I spent much of my time reading nature encyclopaedias and going on city nature trails. 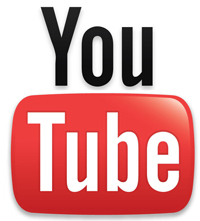 I also studied environmental biology at university. I feel that Earth Hour is a great gesture but wanted to back it up with some pledges for the year. I do own 3 bikes and make good use of public transport. 2) To not fly, I’ve only flown around 14 times in my life and most of those were for business, I heard a radio interview with Kenyan environmentalist Wangari Maathai who flew to Britain for a conference and pledged to plant 10 trees on her return in order to offset the carbon emissions. 3) To eat more naturally and avoid processed foods, there is nothing quite like getting connected to nature by eating the fruits of her bounty, every meal involves an exercise in plant dissection :) it’s amazing what you can learn about a plant just by eating it. 4) To nurture the land by putting back into it what I take out, this means nurturing the soil, feeding it with homemade and bought compost and manure. I’ve noticed that in my garden where I have enriched the soil I’ve also increased the amount of wildlife in the garden. 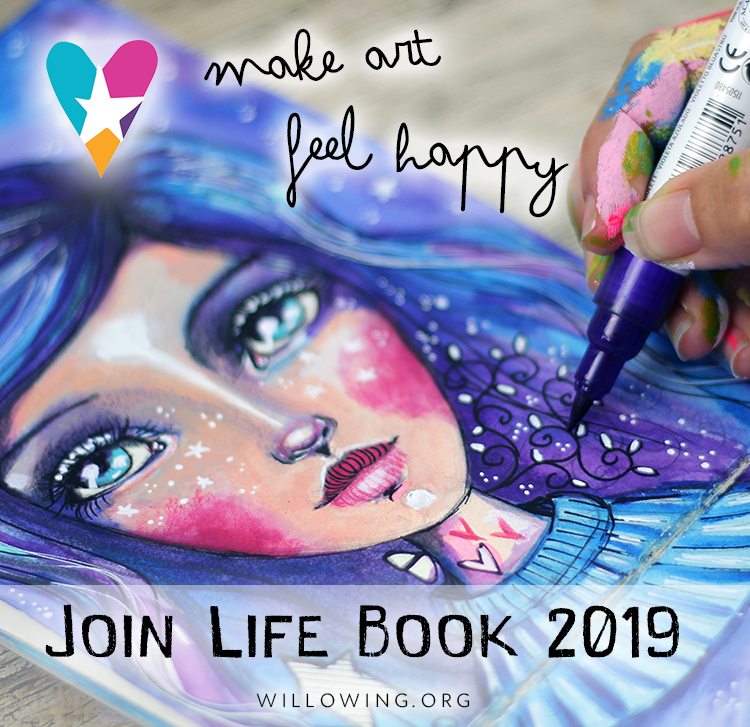 5) To nurture myself, as I am also part of nature and connected to every living and non living thing in the universe. I remember a David Attenborough program where he said that when you look at nature, wildlife and other living things to remember that we owe our existence to them. I can imagine that when living in large cities it can be quite hard to connect with nature on a regular basis, but here are 5 things to try. Collect seeds from the fruit you eat, when you have a seed from 5 different pieces of fruit plant them in a pot with some soil or compost, keep it moist and see which ones emerge first. You can transfer each seedling into its own pot using a teaspoon once it has 4 leaves. 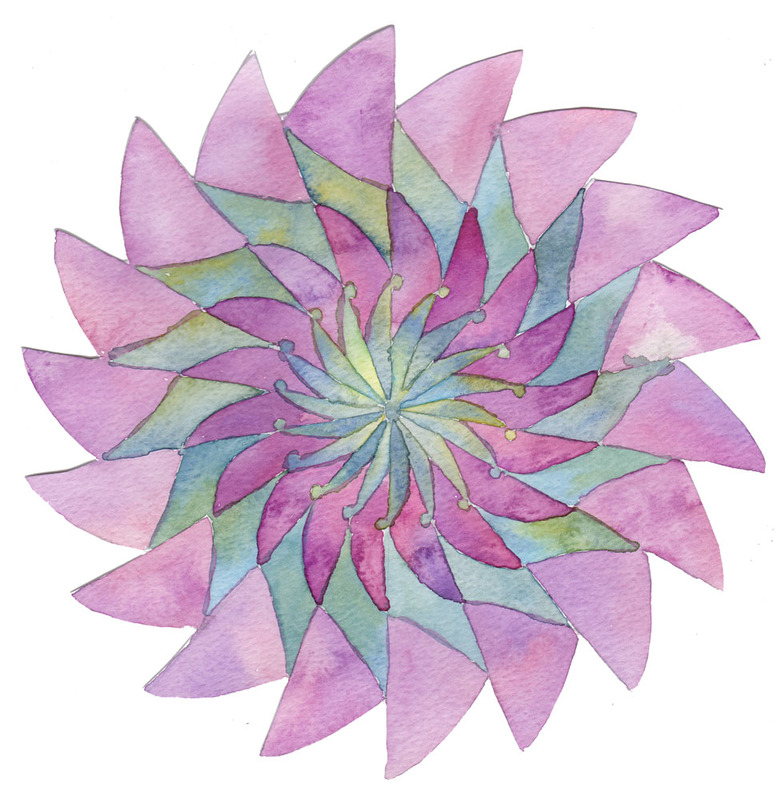 These patterns came from a recently bought mandala colouring book, I scanned in the images then edited them in Photoshop using the magic eraser tool to remove the slightly grey background, I then reduced the opacity of the lines and printed them onto watercolour paper. 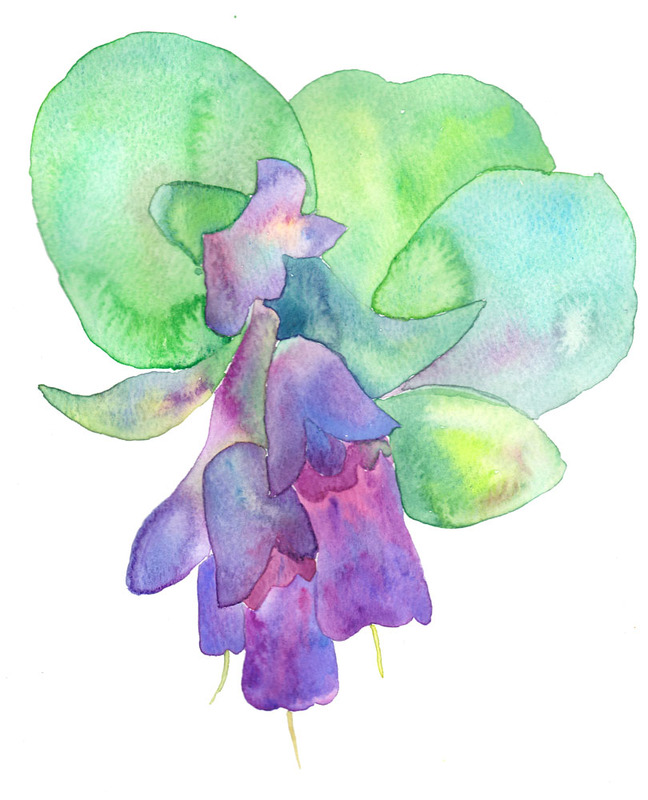 I also attempted to paint the Cerinthe plant which inspired this colour combination. It needs a bit more work, I think I’ll add details with watercolour pencils and ink.. 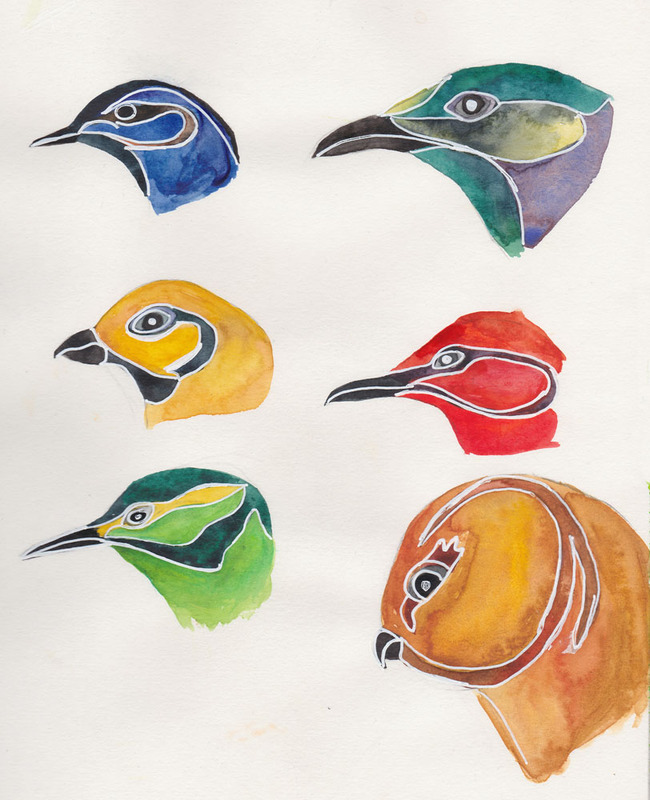 Here are some bird’s heads which I drew and painted last weekend. 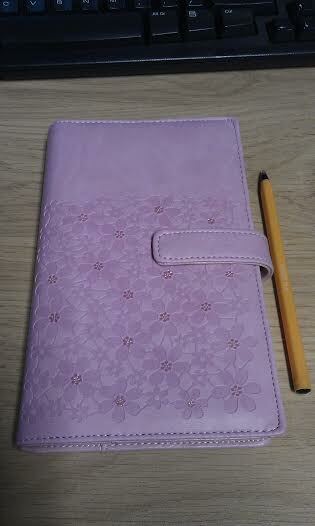 I now have a super cute handbag sized slimline planner in addition to my A5 sized one. Both are keeping me busy with to do lists and journal pages, I seem to be getting loads more done since returning to a paper planner. 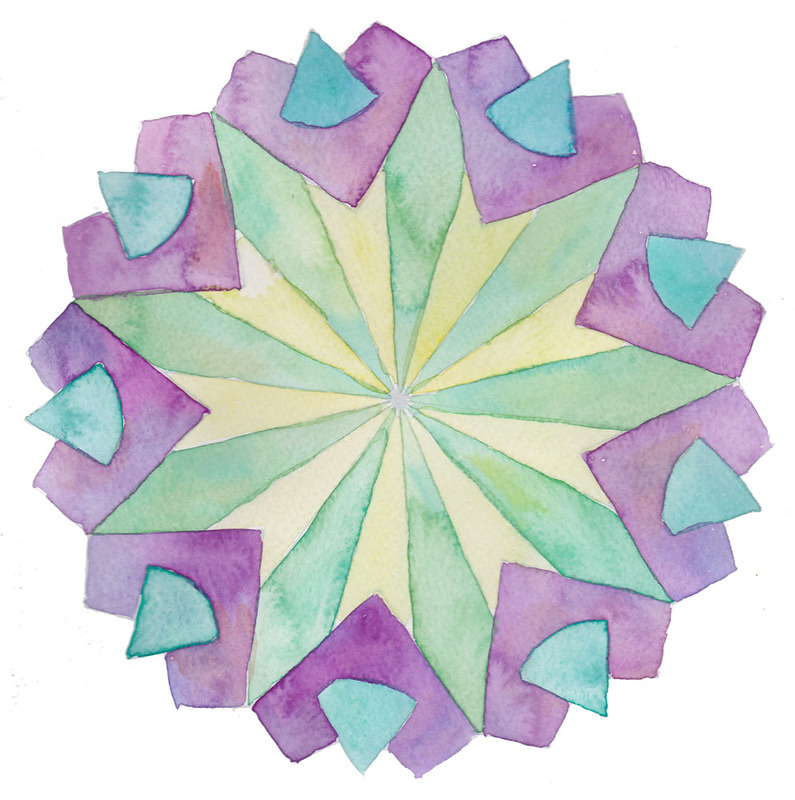 This weekend I have a huge list of things to do including practicing painting colour combinations with watercolours.. 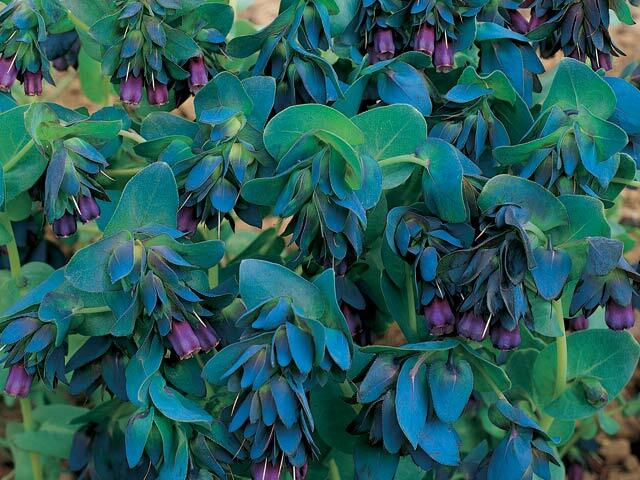 I am intrigued by the combination of purple and green, especially after seeing a Cerinthe plant growing in a neighbour’s garden. I hope you all have a great weekend too!! 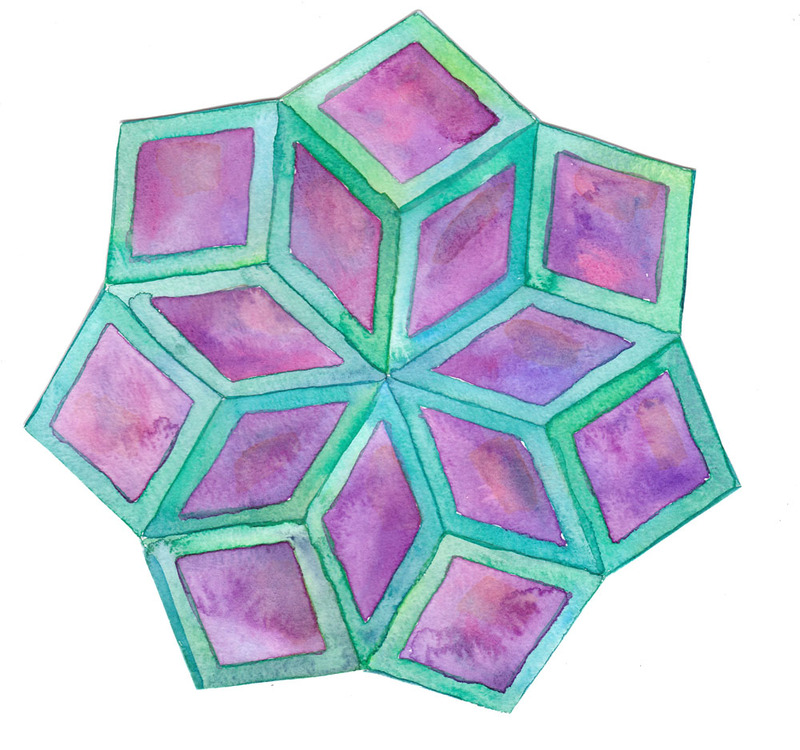 Geninne Zlatkis was the woman who inspired me to start painting and creating a few years ago. 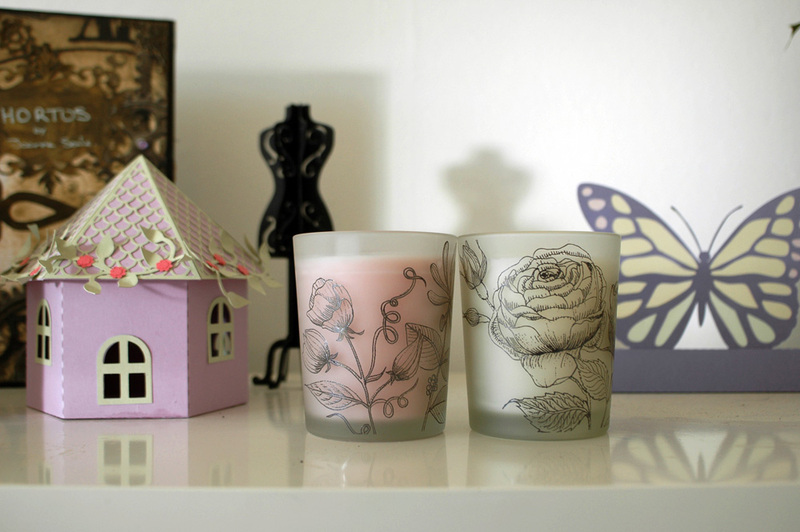 She is based in Mexico and recently posted a notice on her blog about her designs being featured on a series of scented candles being sold at a large chain store here in the UK. I am so pleased to have her work in my home. 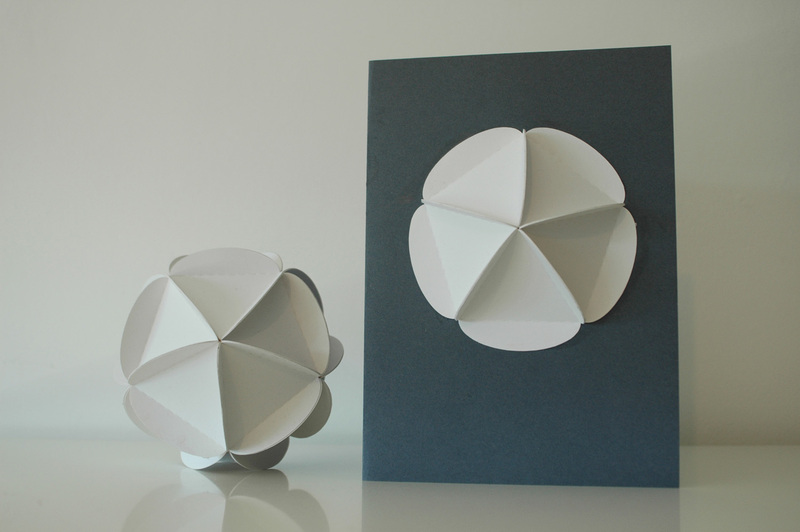 Last week whilst taking a tea break from making a book, I switched on the TV to see my work being displayed as part of a show about the Silhouette Cameo. 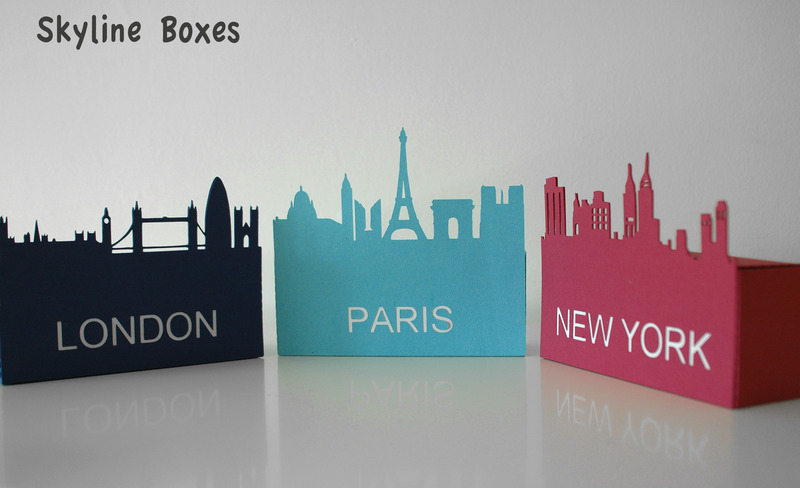 My Skyline Boxes were featured twice! 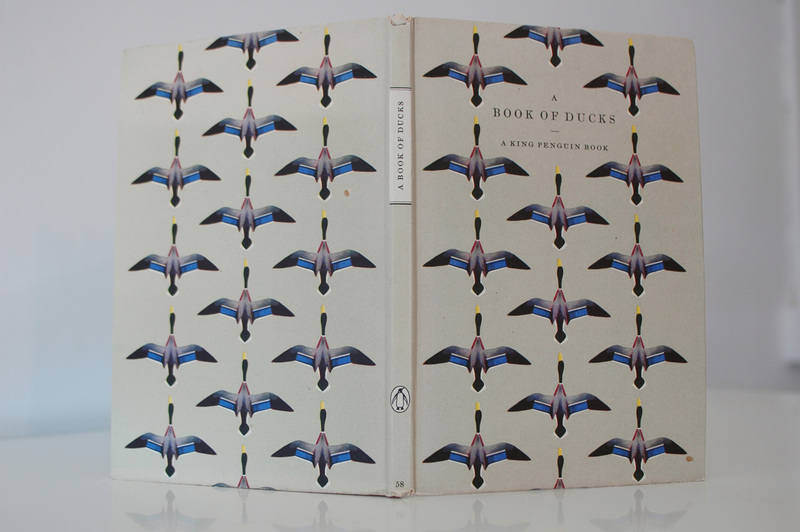 A while ago I purchased some old natural history books on Ebay, including this stunning book of ducks. Whilst researching the illustrator of the book Peter Shepheard I discovered that he was an English architect who worked for the London County Council in the 1960’s. When I got my Silhouette Cameo electronic cutter in 2012 I bought quite a few svg files from other designers before starting to make my own.